Thomas Haas is a bakery and cafe located in Kitsilano. They also have a location in North Vancouver. They specialize in all sorts of French pastries, macarons, and croissants. They also have a sandwich menu available. I have wanted to come to this location for a long time, but they have limited hours, so I haven’t had the chance until recently. When I went on a weekday afternoon the place was packed. It was hard to actually find a seat because it is very small inside the store. I had a double baked almond croissant. 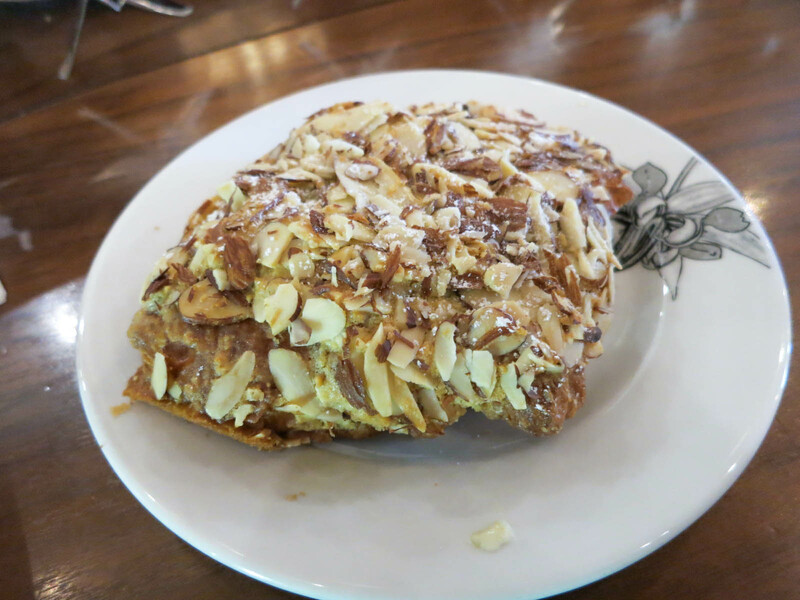 This croissant is one of my favourite dessert items around. The croissant have an indulgent buttery flavour and the layers are perfectly flakey. I like how the soft almond filling inside actually tastes like almonds, and it doesn’t have that artificial almond flavour that many pastries have. The crispy outside coating of almonds provides a nice contrast to the softness of the inside layers. My croissant was heavenly, but I wish that this location was bigger and had longer hours. The atmosphere in the store was a bit hectic and crowded, so it isn’t a place I would really want to linger with a cup of coffee. Come for the desserts, but be prepared to take them to go or fight for a seat. Yes, for the best croissants in Vancouver.